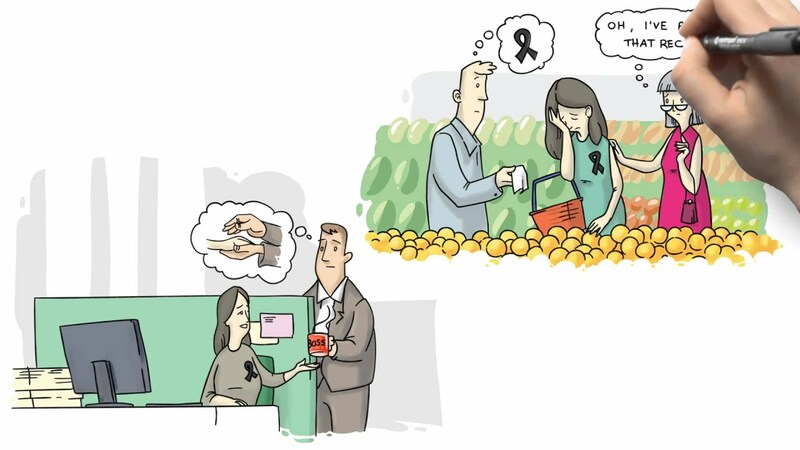 Grieving Together / Awareness / Can wearing black truly help a grieving person? There was a time when wearing black after a death was simply what was done. It was the proper etiquette. A widow would wear a full length black dress, often for a full year. Black armbands were commonly worn for 6 months following the death of a parent or spouse. Yet these traditions seem to be a thing of the past. Was there something important about wearing black? Did it truly help the grieving person? On one hand, I think the gut response is to answer ‘of course not, it’s just a color’. True. Yet, not true. The important part of wearing black was that it was a society-wide norm. Everyone knew what it meant if you were seen wearing black. Nowadays, widows don’t wear black dresses, and armbands are rarely seen outside of a funeral service, if even that. Instead, we might see pink if the person died from breast cancer, or orange to signify their favorite color. Is there anything wrong with that? Again, the first instinct is to answer ‘of course not, it’s just a color’. Again, true. Yet, not true. Unfortunately, while it is fantastic that people wish to support the research of breast cancer, wearing pink does not let your surrounding community know whether you have lost someone to breast cancer, or just know someone who underwent treatment for breast cancer, and continues to live today. Wearing black is more than a tradition, it serves a function. Whether we like the color choice or not, someone many years ago chose black as the color to represent mourning. The purpose of mourning is to let people know that you have lost someone close to you, and are experiencing grief from that loss. It is a reminder to others of what you’re experiencing.It is even more important today than a century ago, as today’s society is even more disconnected from each other. We don’t know our neighbors or what’s happening in their life. How can we support them if we don’t even know what’s going on? So, can wearing black truly help a grieving person? Yes, it can. It acts as a symbol, an identifier, a frame of reference so that others can know a person is grieving, so they can come forward and provide support, or even just give a little extra grace when they see the grieving person is struggling to make it through the day. Does it have to be a full length dress? No, there are many modern mourning options available. Just find the one that suits you, and wear it so you can get the full benefits that mourning produces. "Grief shared is grief diminished."